FC Bayern Munich returns to the Turkish Airlines EuroLeague for the first time since 2015, bringing with it plenty of 7DAYS EuroCup experience and a boost of confidence after regaining the German League championship. Coach Dejan Radonjic, who arrived midway through last season, has with him most of the core of that championship squad, but several key additions have been brought in to ensure the team can compete well in the top continental competition. Guard Petteri Koponen arrives after two seasons in Barcelona to provide valuable experience at this level. Experience also landed in the paint with Leon Radosevic coming from German rival Brose Bamberg. Guard Maodo Lo was signed from Bamberg and the team lined up another promising guard for the future with Robin Amaize. The group of players who performed so well last season in the EuroCup plus the new faces will combine to make their best effort to prove Bayern belongs on the top stage. The Bayern backcourt features talent and experience in just the right measures. Koponen, entering his fifth EuroLeague season, stands out as the biggest signing for the team this summer. His experience matches that of a Bayern regular, Nihad Dedovic, who will be playing his sixth straight season in Munich. Combo-guard Braydon Hobbs returns for his EuroLeague debut. Playmaker Stefan Jovic recovered from an injury last season and should be ready for the new campaign at the top level together with newcomers Lo and Amaize, who ensure the team will have many options at the guard spots. Completing the Bayern backcourt is another player long on experience, Alex King, who will be playing his third EuroLeague campaign. The Bayern frontcourt suffered a blow recently with the news that Milan Macvan, one of the pillars of the team, will miss several months with his second knee injury this year. His Serbian national teammate Vladimir Lucic and power forward Danilo Barthel, who had a breakthrough season last year, will be counted on even more with Macvan sidelined. Barthel, in particular, rose to the occasion with big games last season after Macvan first suffered his injury. Athletic big man Devin Booker will play his third straight season for Bayern and will be making his EuroLeague debut. The All-EuroCup center will be out to shine at the top level the way he has so far in all competitions for Bayern. To that group comes experienced center Radosevic, who will be playing his ninth EuroLeague season. Young Marvin Ogunsipe adds depth and will fight for his chance to shine with every minute he can earn on court. The time has come for Petteri Koponen. In his four previous EuroLeague seasons, the sharpshooter from Finland has proved that he can be a great sidekick to bigger names. However, Bayern signed him with only one thought in mind: bringing a new leader to the team. Thus, Koponen will be out to show that he can be the anchor of a EuroLeague team, and not just any team, but a squad that will carry the flag for German basketball in the EuroLeague. Koponen has played a total of 101 games in Europe's premier competition and in the process recovered from injuries suffered in a bad car accident. He always met the expectations of his teams in the past, too. 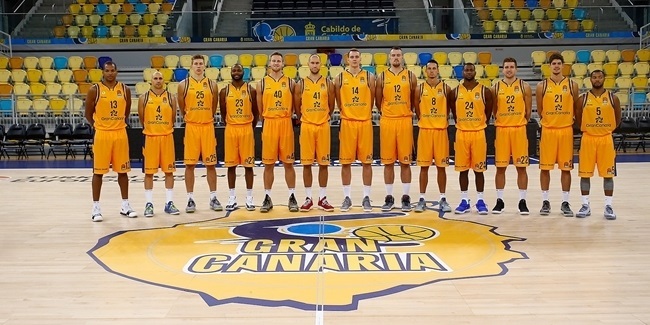 With Khimki Moscow Region, Koponen became a coveted name in Europe, winning the 7DAYS EuroCup title in 2015 as a member of that season's All-EuroCup First Team. Barcelona brought him to a talented rotation, and despite beginning his stay there with the car accident, he averaged double-digits as a scorer his first season. Now, at 30 years old, Koponen is in his prime and knows as well as anyone on Bayern exactly what it takes to compete in the EuroLeague. Koponen will surely want to return the trust that Bayern has placed in him, so expect him to be as hungry as anyone in Munich to bring the team to the next level. Last season, Bayern was one of the best teams in the EuroCup, reaching the semifinals with a 16-3 overall record. 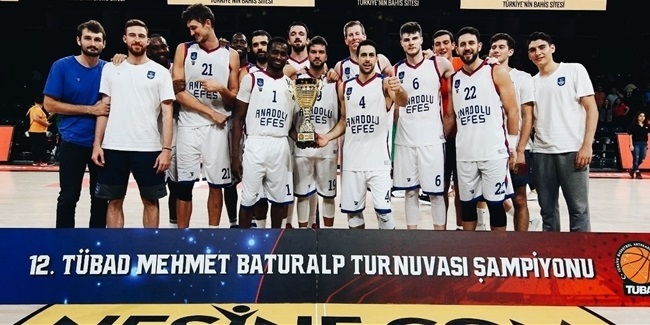 All was going well for the team until a buzzer-beater by eventual champ Darussafaka Istanbul turned victory to defeat and Bayern got swept in that series. 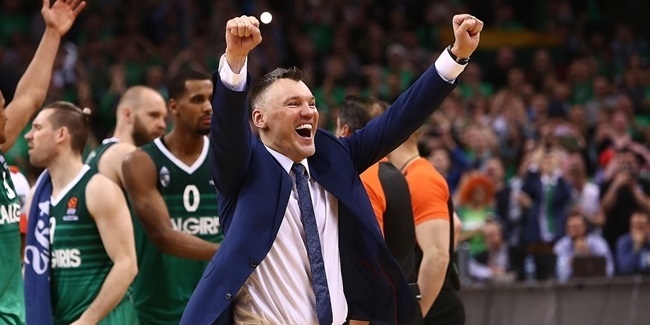 It will not be easy to make it so deep into the season at a level higher in the EuroLeague, but Coach Radonjic has a core of returnees in key positions and mostly experienced newcomers who could prove decisive. This will also be Radonjic's first time molding the team from training camp onward after having taken control late last season, but his defense-first philosophy has already taken the team to the German League title. Expect Bayern to click sooner than later this season, and if that happens, a few key wins could boost the team's confidence to the point of challenging the big boys, especially at home in the Audi Dome .